I wasn’t able to go back home during the month of December this year and I was missing all the holiday festivities, so my mom sent Christmas to me. 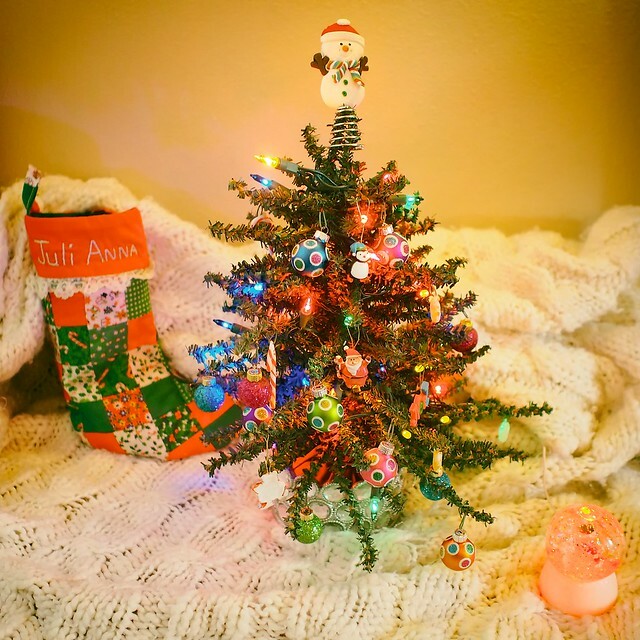 She sent a box filled with a miniature tree, ornaments, lights, and a stocking. My apartment is so festive now!